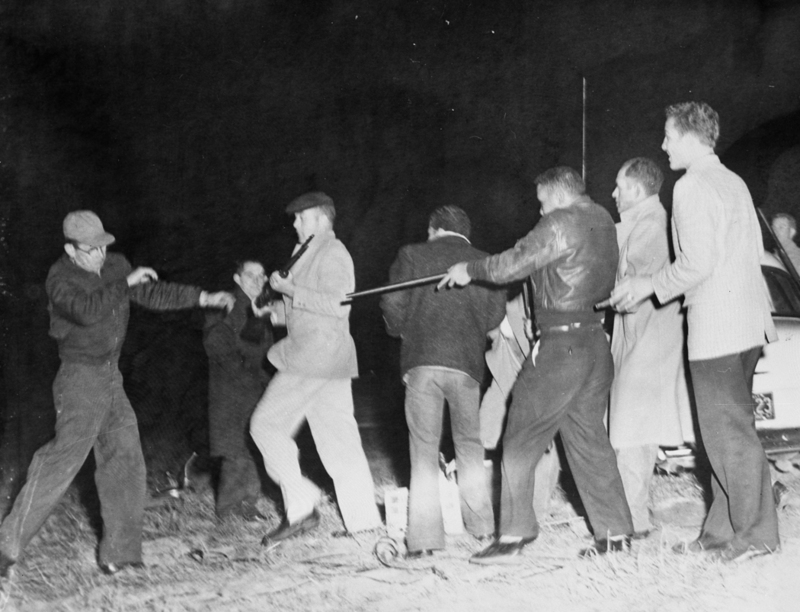 A story in the Progressive Magazine recounts how in 1958 a Klan Wizard named James W. “Catfish” Cole planned a Klan rally to terrorize members of the Lumbee nation in North Carolina. Instead, Cole and other Klansmen ended up fleeing the conflict so fast that Cole himself left his wife behind. Just got an email with an update on the Battle of Bayou Bridge, the southern most extension of the Dakota Access Pipeline. Among the tactics to confront the project, water protectors are now “tree sitting” in the swamps where the pipeline is supposed to cross. In the past few weeks water protectors also have had multiple lock-downs to stop the pipeline construction. You can watch short videos of two recent actions here and here. Last May, EcoWatch published a story on how Enbridge helped write Minnesota’s pipeline laws, putting local Minnesota concerns in the backseat to corporate interests. The piece was headlined: How Enbridge Helped Write Minnesota Pipeline Laws, Aiding Its Line 3 Battle Today. Perhaps S.F. 90’s largest handout was the overhaul of Minnesota’s routing and permitting process. Before 1987, counties and towns could use zoning to exert some control over the routing and permitting of pipelines (how and where they were built), but S.F. 90 preempted local zoning of pipelines, a measure with implications for the Line 3 battle today. Instead, a new pipeline would require only a single routing permit, issued by the Environmental Quality Board, an authority which shifted to the Public Utilities Commission in 2005.